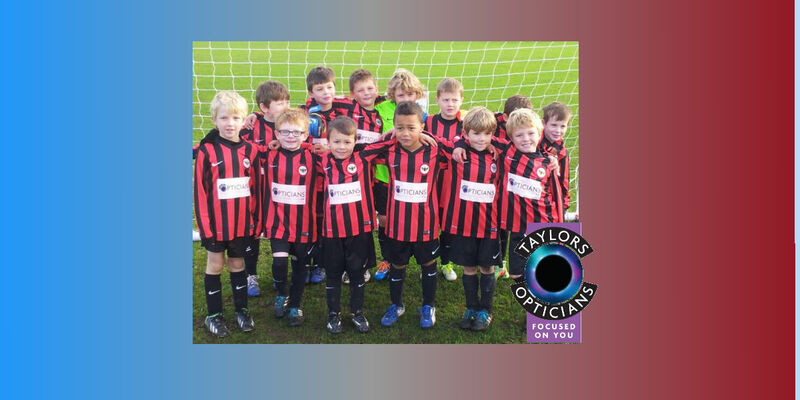 We want to share some great news with you, Taylor’s Opticians of Frodsham are proud to be sponsors of Frodsham Park under 7’s new football strip. The team played in their brand new strip last Saturday, with great success. 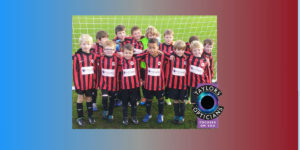 Frodsham Park under 7’s new manager, Phil Thornhill, contacted us during the summer as the newly formed team required sponsorship to afford a new strip. We have been delighted to help more youngsters get out and enjoy sport. We know how important it is for children to enjoy outdoor activities, to help their eyes develop to their full potential and enjoy good vision. We offer a full range of child and adult sports and football glasses for your outdoor activities, with Hoya’s extra tough UV protecting PNX lenses. They’re so tough, we guarantee the lenses against breakage for two years!